What is Plitvice Lakes National Park? It is a park with 16 natural lakes and many waterfalls connected by trails and plank walks. It is an UNESCO heritage site. Where is Plitvice Lakes National Park and how can I get there? It is in central Croatia near the Bosnian border. You can get there by taking the bus, taking a tour or renting a car. I took a bus from Zagreb. You can book your bus tickets in advance on the Bus Croatia website. If you take the bus from Zagreb, I recommend arriving at the station early as I found it difficult to find the right platform because there was not much signage. -Swimming is not allowed at Plitvice Lakes. If you are interested in swimming during your trip to Croatia, swimming is -permitted at Krka National Park. -In the park, you can ride on the panoramic train and ferry which are included in the price of your ticket. However, the panoramic train and ferry do not operate from November 1st- March 31st. -There are eight different walking routes available and vary according to length and physical stamina. The shortest route takes 2-3 hours and the longest one takes 8 hours. I believe I chose Route H, which I finished in about 5 hours. -There are a few places to eat. I ate a hot dog and fries near the entrance. There is also a small cafeteria near the ferry terminal. If you prefer to bring your own food and drinks, outside food is allowed. -Wear good walking shoes, preferably waterproof ones. When I visited in April, a few paths were partially flooded. It’s definitely still worth it to visit the lakes during the low season! It was so peaceful to be completely alone in some areas of the park. I’ve heard it gets very crowded during the summer. I took a day trip there from Zagreb using the bus. You can take the bus to Plitvice Lakes from other cities like Zadar too. The bus is a coach bus so the seats were comfortable. There is a bus stop right outside the park- very convenient! You don’t need to rent a car. Love this! Plitvice Lakes has been on my bucket list for years and I love how more and more people are visiting them! Your pictures are stunning and your tips are so practical. I wouldn’t mind visiting in the off-season! That’s so beautiful! I don’t come across content about Croatia, but when I do, it’s usually about the coast. Thanks for the detailed guide, I’ll have to pass it on! Wow, your pictures look AMAZING! I love the Balkans but have missed this place – going to put it on my bucket list now though! These lakes look amazing. Almost like a Niagra Falls but less commercialized looking. I can’t get over how water is flowing everywhere. Thanks for sharing. Wow absolutely beautiful! As if I needed another reason to visit Croatia! I can see why Plitvice Lakes National Park is a UNESCO world heritage site, you picture of the falls are stunning. I’m visiting Zagreb this fall and I’ll definitely take the bus out to the national park, thanks for the inspiration! Astounding pictures! 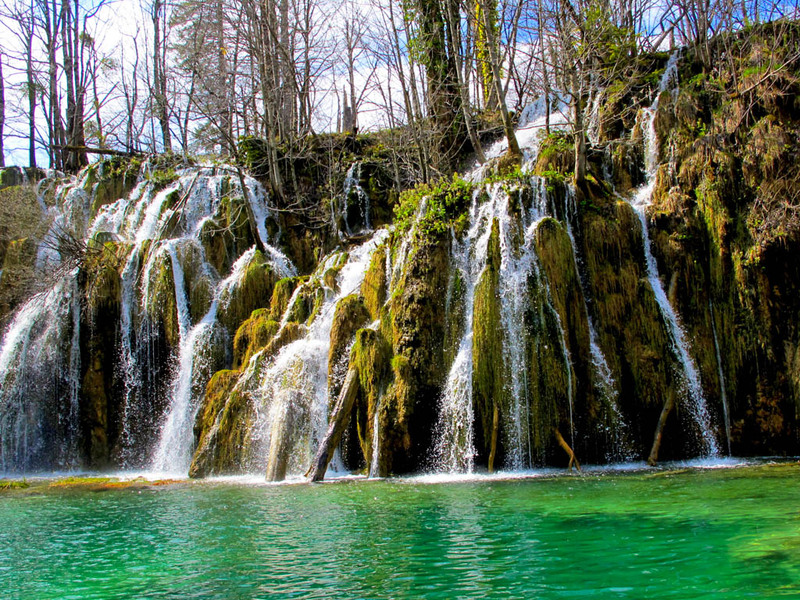 Plitvice Lakes look amazing and definitely is another feather in the crown of Croatia.